Table B-8 lists all percentage and number fields available in Microsoft Project. assigned to a task, expressed as a percentage of a resource's total availability. The earned value cost performance index, which is the ratio of the difference between BCWP and ACWP. total work required to finish the task, as distributed over time. The earned value Cost Variance percent (CV%), which is the ratio of CV to BCWP, expressed as a percentage. 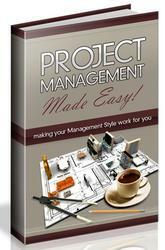 a resource is available to be assigned to tasks in the project. file, associated with either a task or resource. assignment (in units) or the number of units required to complete an assignment. ment (in units) or the number of units required to complete an assignment, shown for a specific time period. regular percent complete for the purposes of calculating BCWP and other earned value fields. The earned value schedule performance index (SPI), which is the ratio of BCWP to BCWS. The earned value schedule variance (SV%), which is the ratio of SV to BCWS. The earned value To Complete Performance Index (TCPI), which is the ratio of remaining work to remaining funds. is available to be assigned work, expressed as a percentage of a resource's total units.